It’s no secret that SS15 has been a coup for boba shops. With the long queues and how fast it sells it out, it can be easily discouraging to join the queue of boba-enthusiasts. But don’t worry about that, because we sent our team down to the trenches of the humid weather try out SS15’s most-queued bobas, so you don’t have to. Check out our IGTV for the full experience! 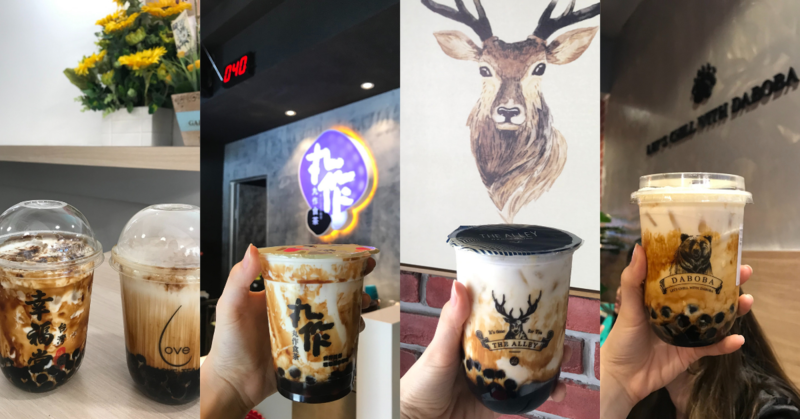 This community-hyped commodity not only has its own queue-crowd, it has its own timing on when it sells its signature, Brown Sugar Pearl Milk drink! Photo sent by Xing Fu Tang Malaysia. And we can safely say, it definitely lives up to the hype. If you are one to enjoy a fragrant milk that the warm stir-fried pearls can bring to a pearl milk drink, this is your definite go-to. The Alley has been every Boba-enthusiasts go-to since its release in SS15. We’ve heard so much about their household Deerioca drink, that we couldn’t resist and got the crème brulee one too! Inside of the Crème Brulee drink has chunks of custard, that makes a nostalgic reminder of Egg Tarts at a Dim Sum restaurant. The pearls are chewy and give a nice bite-texture, and the milk-base is so simple and yet provides space for the toppings (pearls, grass elly, etc.) to really shine. If you’re looking for a drink that has more of a bite, and will fill you up. The Alley is for you! Your textbook-Brown Sugar Boba can be found at OneZo’s, if you’re one for the classics, Onezo is your stop! Teaching us that sometimes, simplicity is the way to go. With all these frou-frou flavors and toppings in many stores (Which we still love! ), going back to the basics isn’t a bad thing. Shoutout to its unique lid, not your typical dome-shaped lid, but a hot coffee to-go lid that allows you to drink directly from the long-awaited goodness. The drink has a unique cheese-foam at the top. Despite the avant-garde foam, the freshness of the milk still stands out. And the cheese foam brings out the sweetness of the milk and pearls. For those of you who want to try something out of your boba-comfort-zone, we recommend Daboba! Which Boba will you try?